With Halloween rapidly approaching, everyone and their brother is revving up their Halloween update engines. Rovio is no stranger to seasonal updates, and Bad Piggies [$0.99 / Free / $0.99 (HD) / Free (HD)] is their latest title to get some Halloween flair. 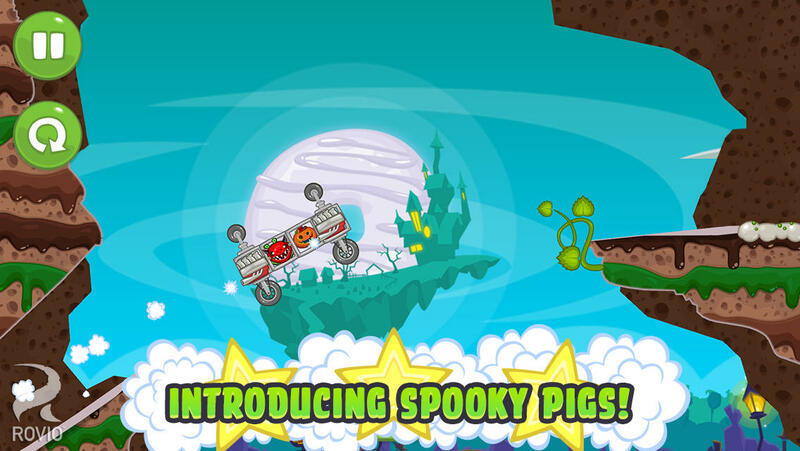 The update includes 30 new levels, "spooky pigs," and of course, a Halloween-themed remix of the theme song. If for some reason you've yet to play Bad Piggies, you really should think about fixing that. We expand on this in our review, but the building mechanic is really clever and it's super neat how the puzzles have two stages between the building of your gizmo and actually piloting it to the goal. And, hey, more content is always cool.